WASHINGTON — Days after making landfall, Florence is breaking records throughout North Carolina. The storm lingered over land Sunday, pouring rain and worsening fears that the next few days could bring the most destructive round of flooding in the state’s history. Even as more disaster looms, drenching rain, swelling rivers and creeks, and storm surges have already created some of the state’s highest rainfall and tides for decades. The National Weather Service in Wilmington reported that Florence has already dropped 23.59 inches of rain, breaking the record for the wettest single weather event in the city’s history. The previous record was 22.54 inches during a flood in September 2010. But the last time a tropical system broke the record was in 1999, with 19.06 inches during Hurricane Floyd. 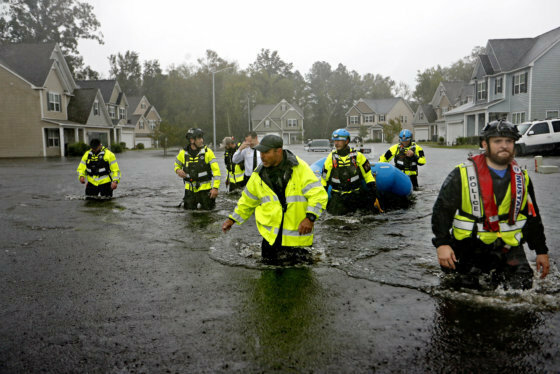 Florence was downgraded to a tropical depression Sunday morning, but it still wreaked havoc on the Carolinas. See photos of its impact. 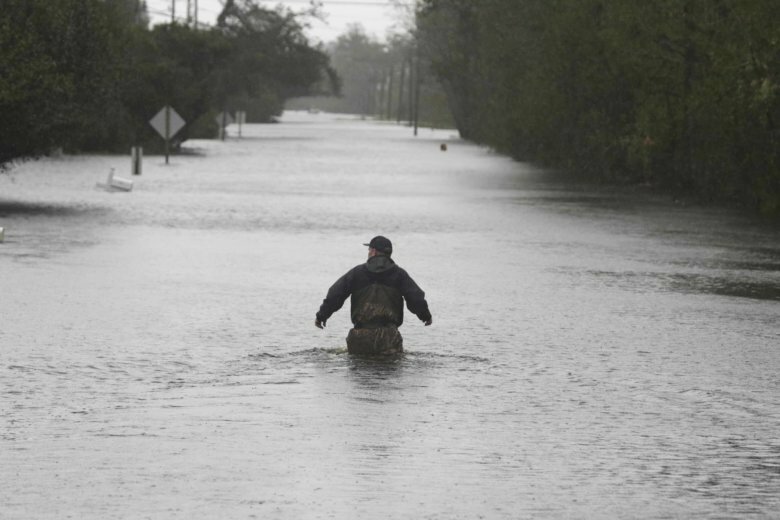 Florence’s unrelenting rain in Wilmington also broke the city’s all-time annual rainfall record with 86.79 inches. The National Weather Service is predicting that the total rainfall by the end of the year could end up being over 100 inches, smashing the previous record of 83.65 inches set in 1877. The Cape Fear River in Wilmington and Fayetteville is also set to break records. Officials are saying more evacuations are possible as the river is forecast to crest more than 3 feet above its previous record set during Hurricane Matthew in 2016. On the coast, Wrightsville Beach experienced tides 4.11 feet above high tide on Sept. 14, breaking a record set by Hurricane Joaquin in 2015 by more than a foot. This time, the water rose to more than 4 feet above where the ocean typically sits at its highest level.